Diana Scates’ personal journey through a diagnose with cancer will challenge you to pursue refuge in the One and only who has everything on His hands – Jesus Christ. The discovery of a node on her neck brought her to a new understanding of the essence of worship and declaring the Word of God during her treatment. This journey and the subsequent lessons that led to her healing will motivate you to chase after hope when it appears there is none. 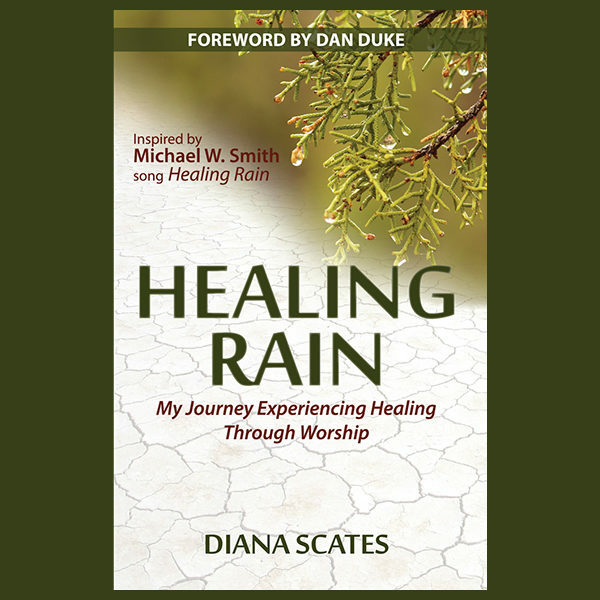 Healing Rain is not just a book of testimony, but it is filled with practical application when the unexpected confronts you. Healing Rain will encourage you to believe in the goodness and love of God even in the darkest season of your life. Diana’s story of resilience and surrender will motivate you to take the next step towards the finish line! Healing Rain will provide you with insight to enable you to overcome the challenges that are part of life’s journey.